Forged and hammered with 16 layers of steel in the Damascus tradition with a VG-10 Core, this knife is complimented with a premium Western style handcrafted mahogany handle that extends to the full tang of the knife and is NSF certified for commerical kitchens and ergonomically welds to the hand for seamless use. The hammered texture of the blade eliminates friction and keeps food from sticking to the blade. 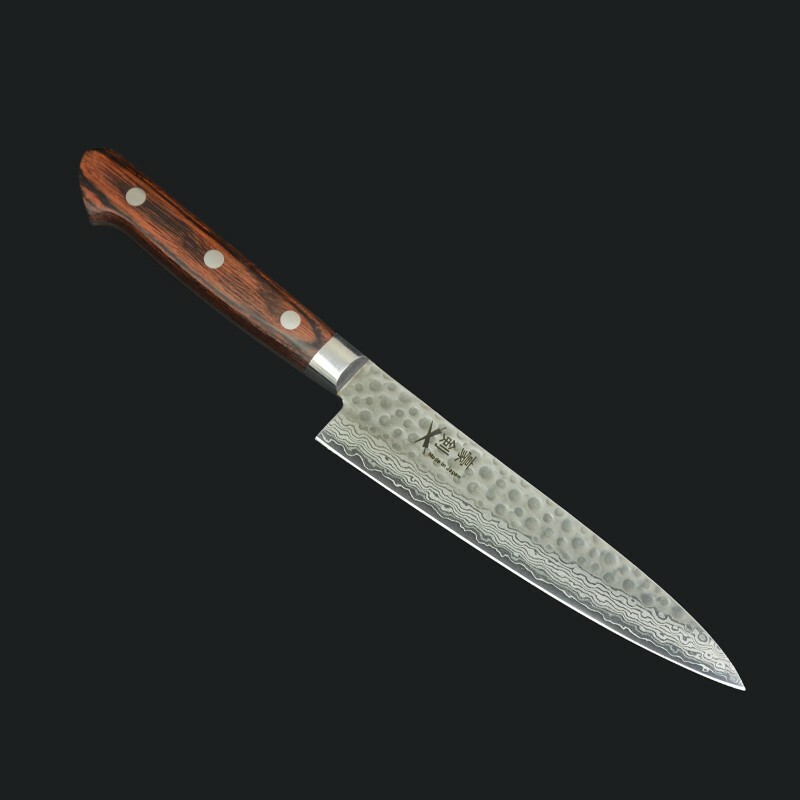 Every knife from GOUKEN is handcrafted by master artisans creating a unique one of a kind work of art.